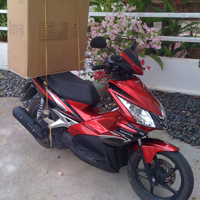 Day 12: Arriving in Phuket, and what to expect along with a few tips. A month has gone by, and a minor rookie mistake. Making a detour to Chiang Mai, along with the daily expenses. Getting from Bangkok to Phuket is very easy, go to Bangkok�s main airport BKK buy a ticket at the Air Asia counter, no real need to book and you will be in Phuket a couple of hours later. 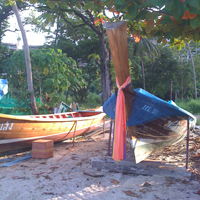 Phuket touts and in particular phuket taxi drivers are renowned for been some of the worst in Thailand. 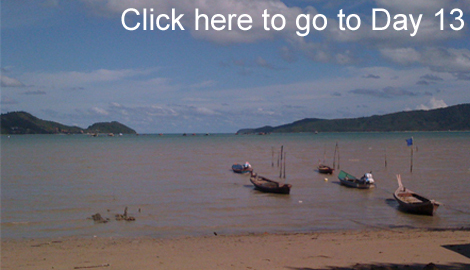 The easiest place to get started in Phuket is an area called Karon Beach about an hour south of the airport. It is considerably smaller than Patong and will enable you to get a feel for the Island. I had a hotel in Karon Beach found on the Web easily. Not having a predefined place, you will be fighting off everyone wanting to promote a friends hotel particularly the taxi driver. In Phuket most of the signs are in English and very quickly you will start to see signs indicating monthly rentals. The first place I saw a sign for and looked at, was the place I ended up renting for a month, even though I spent another 4 hours walking around looking at others. After waking up in Bangkok and then deciding to wing it and go to Phuket I had secured a decent place by 4pm that is how easy it is. If you want to skip the hotel and the 4-hour walk just go to Nin Apartments Phuket It is central 2 minutes from the beach and unlikely you will find better walking around, the price is acceptable by western standards at around $600 a month. When you arrive in Thailand you will spend considerably more than $400 a month until you get to a point where less than $500 is even conceivable. On arriving in Thailand with no contacts, you are going to pay a premium, either financially or with time. Even though Phuket is the most expensive place in Thailand. 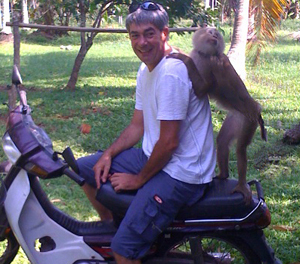 It is the easiest place to figure out and get things done, what takes 4 hrs in Phuket could take weeks elsewhere. The other option is upon arriving, to go out and rent a scooter immediately "walking is just not an option" make a note of the number on the plate "they all look alike in a parking garage" and spend a few days looking at other places.